There’s over 3.5 billion Google searches made every day. You can’t deny that putting your website near the top of the results pages will boost your business online. Our SEO packages will identify anything that’s holding your website back, and then look at tried and tested methods that will help to give your website that all-important boost. How can we help your search engine performance? We’ve got several SEO project packages available, but we’ll tailor your SEO package according to your specific needs and price accordingly. We’ll go through your website with a fine-tooth comb, making sure that your site is as attractive as it can be to Google. Ensuring the technical aspects of your site are in tip-top shape is the first step of any optimisation project. Looking at your direct competitors is an excellent way to gauge yourselves in the current market and an important way to track your progress. We’ll do all the grafting and present you with the results. Spreading the word around the internet is a key SEO strategy and one that is sure to build awareness of your business and get it up the search engine rankings. We’ll come up with a strategy to improve the reputation of your website. Local SEO or organic SEO? Depending on your business, your customers may be in a specific geographic area, or you might be looking to reach people all over the world. We’ve got ready-made packages to suit either need (or both). With our Local SEO packages, we can make sure that your business is visible to all of your potential customers. We’ll do this through optimisation of your Google profile and drive traffic to your website by building a solid online reputation for your brand. If you need a wider reach for your website – (for example, if you have an e-commerce website) then our national packages will take a thorough approach to improving your Google rankings for your chosen keywords. 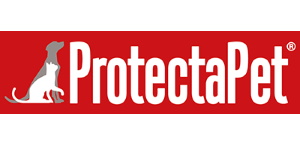 ProtectaPet Limited are a manufacturing and installation company based in the West Midlands that specialises in pet containment. We improved organic traffic through a solid SEO strategy. A recently discovered monkey, the Burmese sneezing monkey, sneezes whenever it rains.